The new Mickey Mote is perfect for my young children ages 3, 4 and 5. 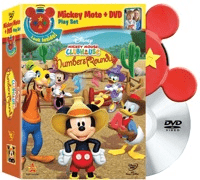 It is a new interactive way for children ages 2-5 to become part of their favorite Disney Preschool shows using their own “Mickey Mote” a remote control designed specifically for little hands. My children and I have always liked how the Mickey Mouse Clubhouse encourages active participation and the new Mickey Mote takes it to a new level. Now, instead of just shouting out the answers, they can click one of the buttons on the Mickey Mote during the shows to answer specific questions about colors, shapes and sizes. The Mickey Mote is shaped like Mickey Mouse’s ears and is very simple to use. All of my children ages were able to easily use the Mickey Mote easily after showing it to them once. In order to get started, the Mickey Mote must synch with your DVD remote control. I followed the instructions and after a bit of initial confusion it was set and ready to go. The only problem that I encountered is that the DVD automatically started on Auto Play mode which does not allow use of your Mickey Mote. After doing some research, I was able to go to the menu of my regular DVD remote and get to the proper screen on the DVD to turn on Discovery Mode 1. I am glad that I didn’t get frustrated because once we had it working the kids had a lot of fun. 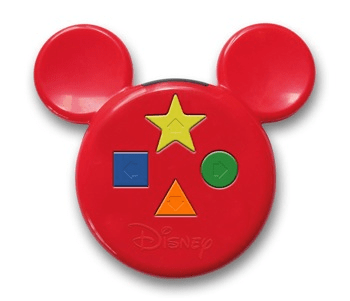 Discovery Mode Level 1: Use your Mickey Mote (or DVD remote) to answer fun questions about colors, shapes and sizes. (I used this play level for my 3 and 4 year olds). 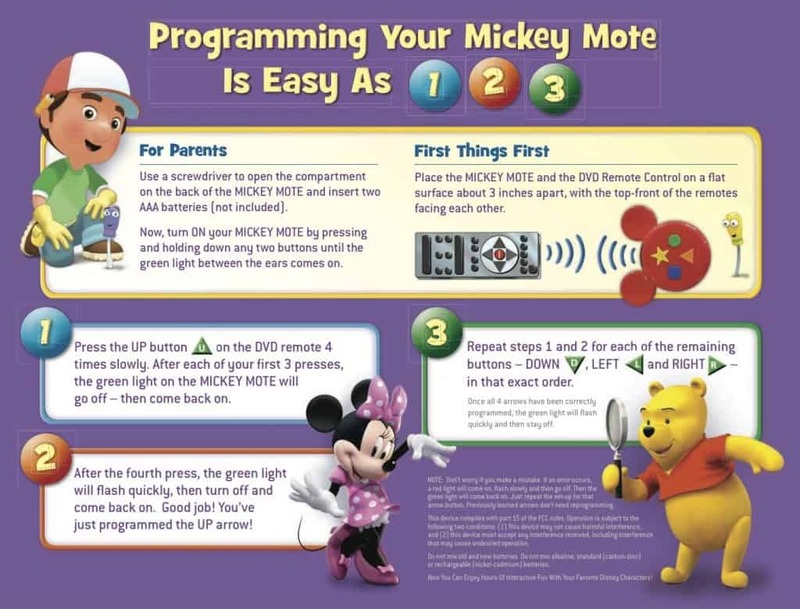 Discovery Mode Level 2: Move to a higher level with more challenging questions using your Mickey Mote (or DVD remote)(this was the level my five year old enjoyed most). 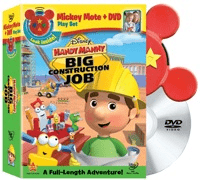 I liked that both Disney Handy Manny Big Construction Job and Disney Mickey Mouse Clubhouse Numbers Round up are both feature length titles and include bonus episodes too so that really makes it worth your money. Available November 16th, 2010 you can purchase any of these specially marked packages to get your Mickey Mote for only $29.99. The Mickey Mote would be a great holiday gift idea for any preschool age child, especially those little ones who are big fans of Disney Preschool programming. Watch for the coupon on the front of the titles to instantly save $8 on any two Mickey Mote titles, or inside you will find another coupon for $3 off of a single title. I saw a commercial for this and thought how cool it would be. Maybe you can convince those Disney Folks to let you give one away lol.